Bring your laptop with MS Excel. Renewable Energy is abundant and all around us. It is energy storage and distribution which limit its use. 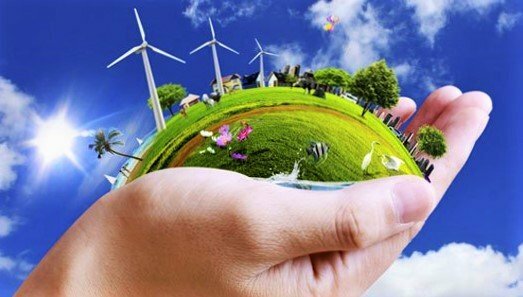 This forward looking introduction to Renewable Energy, reviews, compares and contrasts all major renewable energy types in a Renewable Energy grid. Hydro, Wind, Solar, Biomass, Wave, Geothermal – each type’s contribution, reliability, setting, technology, engineering setup, essential equations, emerging technologies, limits, environmental impact, undesirables and economics (install & running costs) are compared with Liquefied Natural Gas (LNG) projects and one liter of diesel using standard terms. The course investigates current and emerging technologies in the critical areas of Energy Storage (energy density, pumped hydro, air, batteries, hydrogen fuel cells, flywheels etc) and Energy Distribution (central, local, mobile, off-the-grid). Energy trend drivers, global imperatives and conservative future scenarios are presented. The course presents an exciting, forward looking and fact-packed review of the rapidly evolving and increasingly diverse energy landscape on our planet today, from a seasoned energy consultant, educator and investor. Key facts are presented in the context of what they mean for the future, highlighting the technological and financial choke points that stymie renewable energy projects. The course reviews renewable energy projects in conventional financial terms, showing ways to pre-empt or circumvent failure as well as highlighting crucial technologies set to break current choke points. Renewable Energy Project Brainstorm. The objective of the course is to equip attendees with the knowledge to critique renewable energy projects, identify flaws, propose solutions and rate a projects success in conventional ROI (return on investment) terms. The course involves an engaging ongoing daily debate in which the class is divided in two to propose and develop their own RE project. This influx of fresh knowledge keeps the course at the leading edge, but demands it stay practical! Brainstorming merges the keenness and expertise of attendees with the diverse factual database of the course and subjects the resulting proposals to competitive critical debate. Finally, each participant is asked to share one sentence which they feel is important for all of us to know about Renewable Energy – their takeway. Does this emerging technology address a choke point or is it just interesting science? The course content may be emphasized or reduced according to class requirements. Electrical Energy Storage media vs. 1 litre of Diesel – Is it Energy Dense, mobile and safe? Your Favourite Renewable Energy Project – Does it stand up? Dr Mark Deakin is a consultant, author and lecturer in Petrophysical Data Integration. He holds a Ph.D. in ‘Integrated Petrophysics’ from London’s Imperial College, is an ex Amoco petrophysicist, and has 25 years experience, including 12 as a lecturer and director of PETROPHYSICS Pty Ltd. He has performed over 50 detailed reservoir studies, primarily in Southeast Asia’s difficult carbonate and stacked ‘low-contrast-pay’ reservoirs, keeping abreast of new technologies by technical reading, operations work, attending short courses and lecturing. Deakin’s proven approach is to identify and rank reserves uncertainties then guide companies toward defensible reserves via a process of targeted data acquisition, data-hierarchy and systematic integration. After his PhD Deakin authored the first public Integrated Petrophysics course which has evolved into the industry benchmark course for mainstream petrophysics. Deakin also developed “Carbonates & Fracture Petrophysics – A Roadmap” and the powerful PetroDB-WEB core-log-test linked database evaluation for complex reservoirs. Deakin is a member of SPWLA with offices in Perth, Australia. PS: If you love THE FUTURE OF ENERGY you will love this course!